If you’re hunting for a high-quality, low-risk printer to handle your business’ next printing job, SpeedPro Imaging Frisco/Plano will happily take on your requests. Whether the aim is to draw in street traffic with gorgeous storefront displays that advertise your business’ products and services or add layers to your office with custom window graphics, we’re equipped with the tools and expertise to make it all a reality. Our primary goal is to meet every facet of your expectations while becoming a trusted extension of your marketing team. Our studio is run by people with extensive experience, and together, we’ve served businesses of all kinds. From museums to retailers to educational facilities, we’ll tailor your business window displays to fit your tone and style perfectly. As a part of the nation’s biggest large format graphics provider, we have access to cutting-edge printing technology and other industry-leading resources. Our graphics can be created with up to 1440 DPI resolution and expert color matching, which will help sync your new products with your preexisting branding elements. 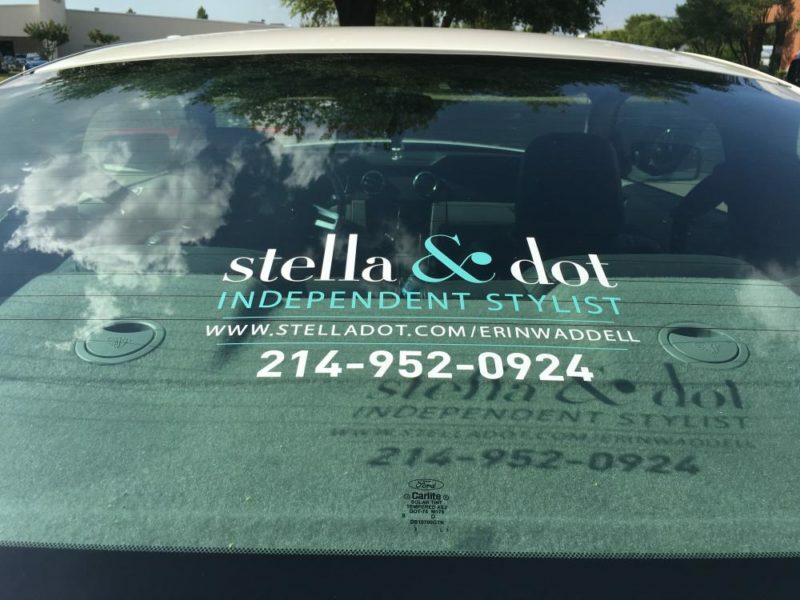 Frosted or image window graphics: The types of vinyl that we offer for this option include calendar and cast. 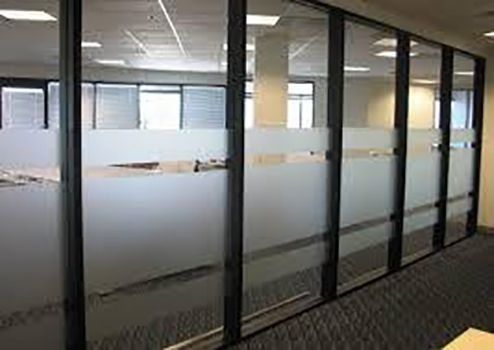 Products can be finished in matte, gloss, etched, frosted, dusted or clear, and they can be straight or contour cut depending on the scenario. 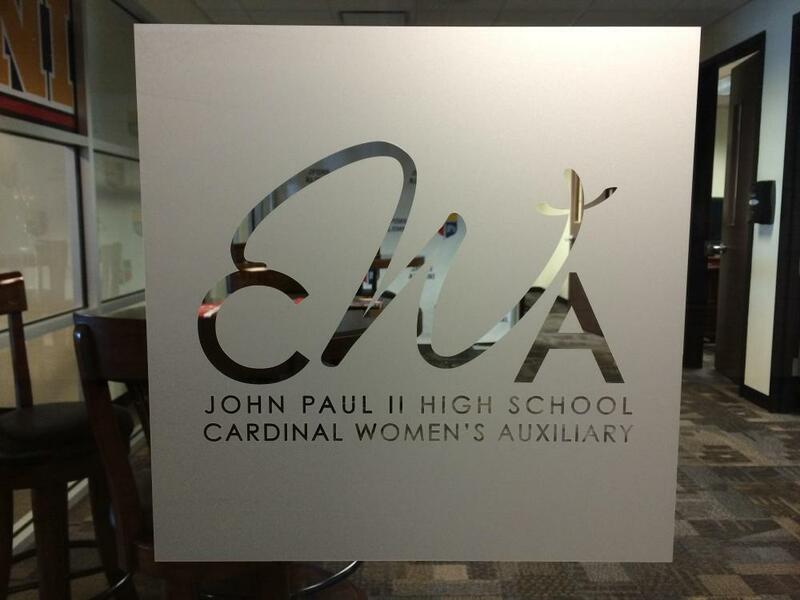 These graphics are often used to display logos, promote products and add privacy to an office space. Window perforated film: A versatile, functional product, our window perforated film can be used to create eye-grabbing business window graphics. Their design creates solid, high-resolution images that appear on the outside. Simultaneously, they filter harsh sunlight, add privacy and block out unfavorable scenes like alleyways. Our vinyl-to-hole ratios come in 50/50, 60/40, 65/35 and 70/30, which allows you to adjust the level of transparency you get from them. Films can be finished in matte or gloss too. 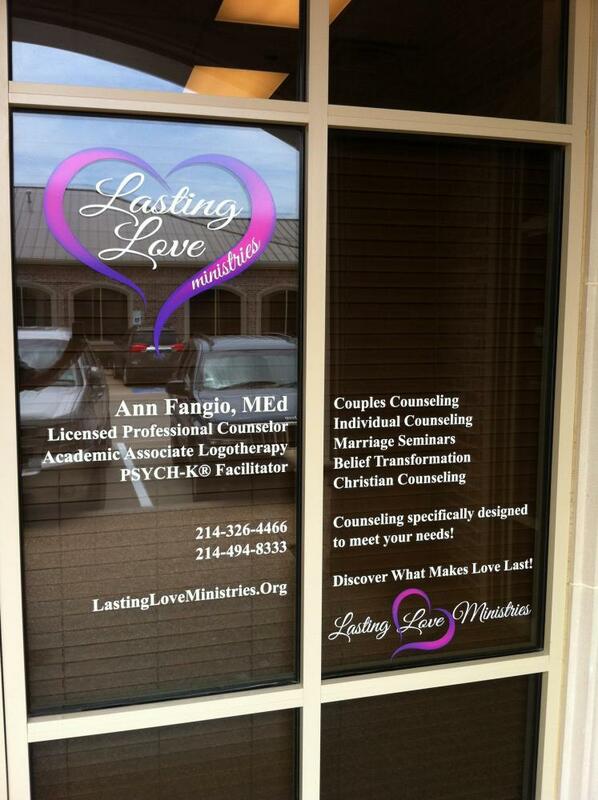 Window clings: Clings are often short-term promotional tools thanks to their versatility. You can apply clings using static cling or adhesive. They can be single- or double-sided, and you can adhere them to the exterior (first surface) or interior (second surface). They can be clean, kiss or contour cut. Contact us today to set up your initial consultation! If you’d like to visit us in person, remember that our studio is located on Commerce Drive, just off of West Plano Parkway in Plano.